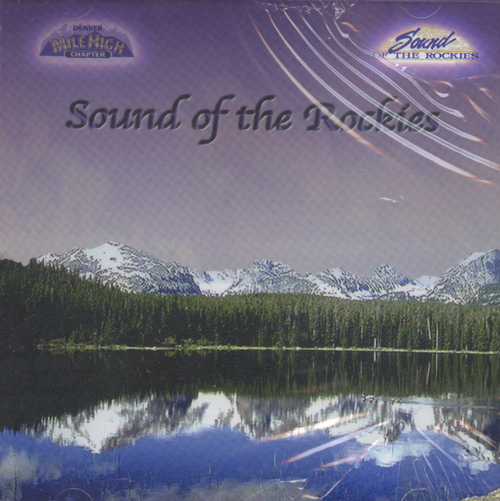 Denver-based Chorus Sound of the Rockies, Mile High Chapter, directed by Darin Drown, has an intimacy in their sound, and their arrangers take the kinds of chances that we're only used to hearing in the best barbershop quartets. 12 great songs, "Waiting for the Robert E. Lee," "Brother Can You Spare a Dime," "Great Day," "Ave Maria, "How to Build a Chorus," "There Goes My Heart" medley, "The Pirate Song," "Bring Him Home," "Ya Got Trouble," "America the Beautiful," "Armed Forces Medley," and "Star Spangled Banner. Truly exquisite!